"YOU'LL SPEND 90 MINUTES LAUGHING NONSTOP." NOW ON BROADWAY THRU JUNE 6th ONLY! Or, call 212-947-8844 and mention code BSMUG38. 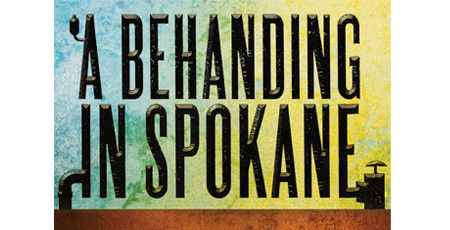 Gerald Schoenfeld Theatre box office, 236 W. 45th St.
Don't miss the world premiere of A BEHANDING IN SPOKANE, the new play from master storyteller Martin McDonagh that just opened on Broadway to an explosion of raves! "THE FUNNIEST PLAY IN NEW YORK! in the English-speaking world. BUY A TICKET TODAY!" "CHRISTOPHER WALKEN IS HANDS-DOWN PHENOMENAL." Visit BehandingOnBroadway.com for more information. *Offer valid for select seats at all performances through 5/9/10. Orch/Front Mezz (rows A-F) regular price $116.50. Limit 8 tickets per order. All prices include a $1.50 facility fee. All sales are final – no refunds or exchanges. Blackout dates may apply. Offer is subject to availability and prior sale. Not valid in combination with any other offers. Offer may be revoked or modified at any time.